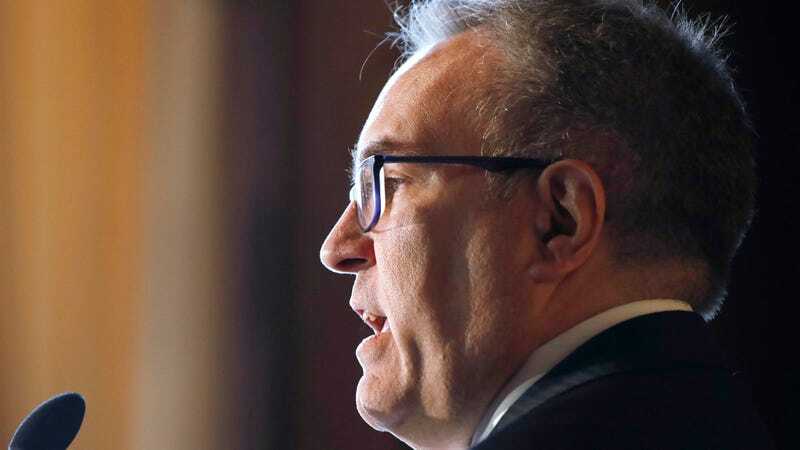 Our boy Andrew Wheeler has wasted no time during his takeover at the Environmental Protection Agency. Scott Pruitt may be out, but that doesn’t mean propping up the fossil fuel industry is. First on Acting Administrator Wheeler’s checklist? Easing restrictions on coal ash. Coal ash is what’s left behind after a power plant is done burning the coal itself. In 2015, former President Barack Obama put out a rule to help regulate it. A final version of the Disposal of Coal Combustion Residuals From Electric Utilities rule, aka the CCR rule, took effect in 2016, but once President Donald Trump took office, coal ash companies began petitioning the EPA to do away with it. Now, they’ve scored $28-31 million in savings through a revision that removes key elements of the rule that helped protect communities. Per the Washington Post, Wheeler’s EPA has revised the Obama rule to extend the life of some existing coal ash ponds (where coal ash is mixed with water and stored) from April 2019 to October 2020, give states more power over deciding whether a facility is meeting the federal standard, and suspend some requirements on groundwater monitoring. “Our actions mark a significant departure from the one-size-fits-all policies of the past and save tens of millions of dollars in regulatory costs,” said Wheeler, in a press release announcing the revision on Wednesday. It’s true the Obama-era rule cost industry more money. But that’s because it put basic safeguards in place to keep people safe from their waste. Coal ash can contain heavy metals like lead, arsenic, mercury, and boron—all of which can leach into the groundwater if not stored properly after removed from a power plant. If people inhale or drink this stuff, they can suffer from cancer, heart damage, and kidney disease (among other things). It’s no secret that communities of color and low-income families bear a disproportionate burden from this. After analyzing industry data on coal ash earlier this year, environmental groups found groundwater contamination throughout Oklahoma—the same state Pruitt approved just last month to regulate its own coal ash. And Oklahoma’s not alone: In Puerto Rico, a study in March uncovered that a major coal ash dump was contaminating groundwater in Guayama. The rollback of this rule will impact people there, too. Wheeler’s sign-off on the revision shouldn’t come as a surprise: The man is a former coal lobbyist, after all. This is just his first move, which the EPA has dubbed “Phase One, Part One.” What’ll Phase Two hold? Santiago back in Puerto Rico isn’t sure, but she and her colleagues are working diligently to prepare a response. People’s lives are depending on it.